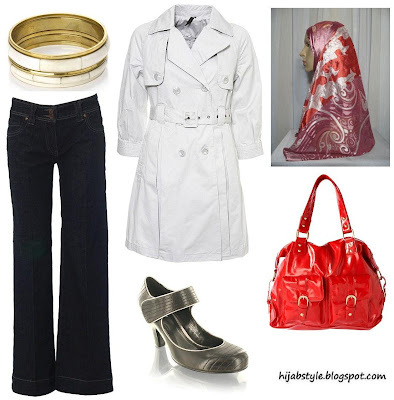 Trench coat £60, Topshop; bone enamel bangle set £8, Accessorize; wide leg jeans £25, Dorothy Perkins; grey court shoe £30, Barratts; red buckle tote bag £35, Dorothy Perkins; patterned hijab £4.26, 2hijab. I'd do that look and the bag - cute! Looks like this project from The Washingtonpost.com fits right into your blog! Anon 1, lol, not a fan of red? Aalya, exactly! If the bag is too bright, a deep berry shade would work well this too. love this blog, always something interesting to see.